Parker Motors was started in 1922 by Clarence Parker and JL (Louie) Smith.. 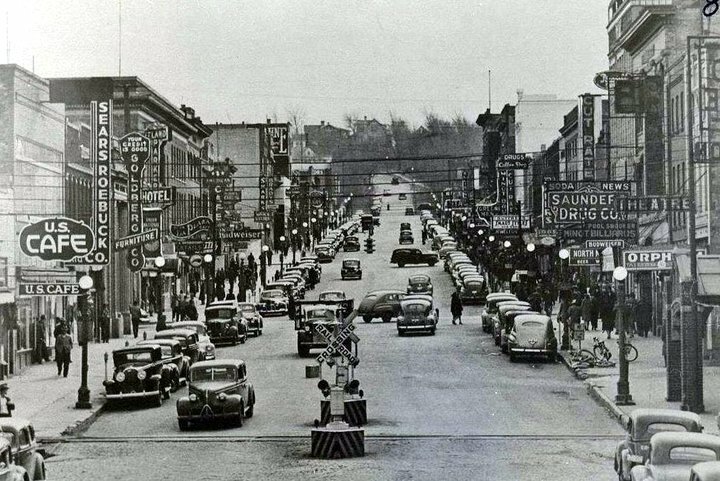 It was located on 1st Avenue Southeast, across for the Scandinavian and Windsor Hotel, now the location of the old YMCA. The top floor of Parker Motors was the Parker Ballroom. A large auditorium with hardwood floors that was the home to roller skating and dances. In 1949, Burton Lahart was hired as General Manager and Don Moe was hired as Sales Manager. 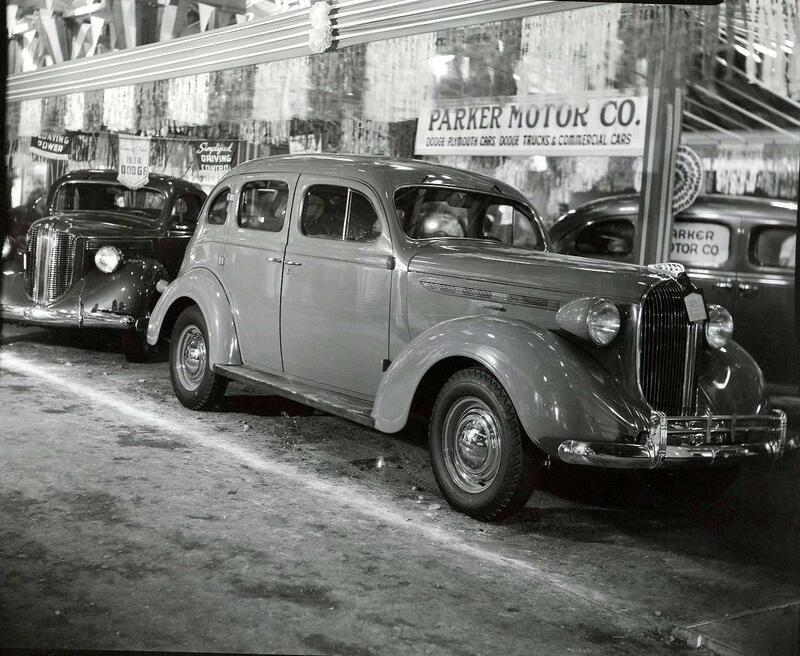 In 1953, Lahart bought out Parker’s share of the business. In 1957, Don Moe bought Smith’s share and the business became Lahart – Moe Inc. The Dealership had moved to its location on 3rd St and 1st Ave. SE. Alvin Officer purchased Lahart’s interest in 1963. Eventually in 1968, Don Moe acquired sole ownership and moved the business to South Broadway and County Road 14. In 1989 Don Moe sold the business to Mark Gulbrandson and it became Minot Chrysler Center. This brings back alot of memories of my childhood when I used to hang out at the dealership with my dad. Those days were some of best times of my life even though I used to create havoc down there on a weekly basis. My dad (Burt Lahart) would have been proud to see his old business featured here on this website. Thank you.